While the film continues to be shrouded in mystery, we did get a level of insight into the plot and a cool, ‘Close Encounters’ type poster, so that’s something. Either way, I’m sure we’ll get more info before the November 7th release date. This entry was posted in sci-fi movies. 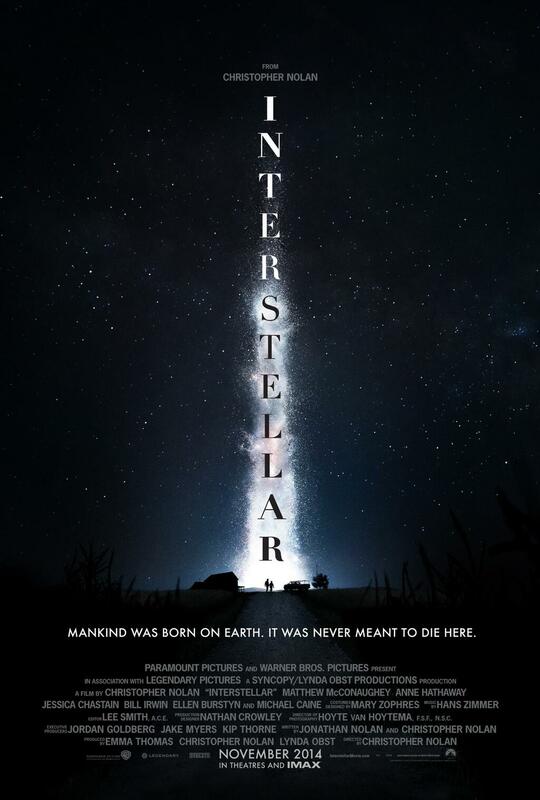 This entry was tagged Interstellar poster, Interstellar tagline. Looks amazing. Supposedly the trailer will be attached to Godzilla. Even more reason to see Godzilla then! I write science fiction. Sometimes it is not all nonsense. Often it is though. I am repped by Kimiko Nakamura of Dee Mura. Reach me at conorpdempsey@gmail.com or through twitter @ConorPDempsey. © 2011 Conor P. Dempsey. Questions? Send an e-mail.